April 8, 2019 - Relativity Space “completely 3D printed” rocket to send Telesat satellites into LEO 3D Printing IndustryRelativity Space, a California-based aerospace company, has signed a contract with Telesat, a Canadian communication satellite maker and operator. April 16, 2019 - New Metal Additive Manufacturing Technology Coming to the Aerospace Market ENGINEERING.comNew 3D printer gives manufacturers the ability to create customized printing solutions for large parts. 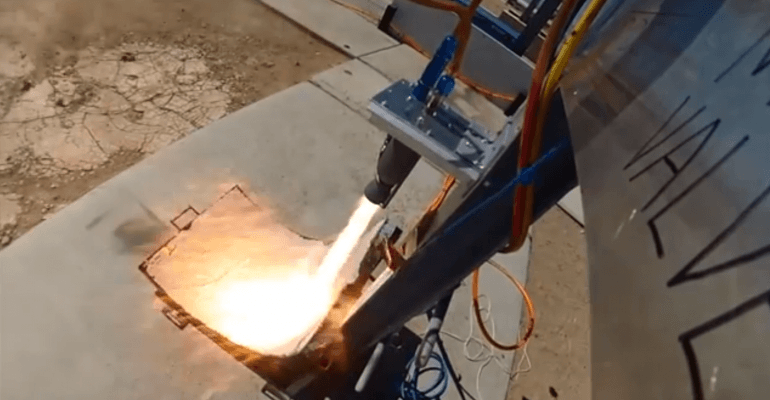 February 13, 2019 - 3D Printing the World’s Largest Single-Piece Rocket Engine ENGINEERING.comUK-based spaceflight company, Orbex, has introduced the world's largest metal rocket engine 3D printed in a single piece on an SLM Solutions SLM 800. April 11, 2019 - Space Coast is getting busy: 6 new rockets coming to Cape Canaveral, Kennedy Space Center Florida TodayA half-dozen rockets from NASA, Blue Origin, Northrop Grumman, and others like Relativity Space are coming to Florida and the Space Coast soon.